Title: The title suggests that the book doesn’t just discuss the events of the reigns of the Tudors, but actually the people involved – the monarchs, consorts, politicians and wider royal family. The focus on the people offers a different perspective on the Tudor era. Preface: The introduction/preface introduces the ideas that shaped the Tudor dynasty and the ideas that allowed them to come to the throne – namely the killing of kings. It also discusses the beginnings of the Wars of the Roses (the Yorkist and Lancastrian lines). Citations: The citations are very well done. They are clear and concise, and make it easy to find exactly the text you’re looking for. Divided down by chapter and then numbered within that makes it very easy. The extra information also included in the notes adds something to your knowledge. Contents: From the chapter titles it isn’t always easy to know what the chapter is going to be about at the beginning. However, within the first sentence or two you tend to understand the significance of the title. 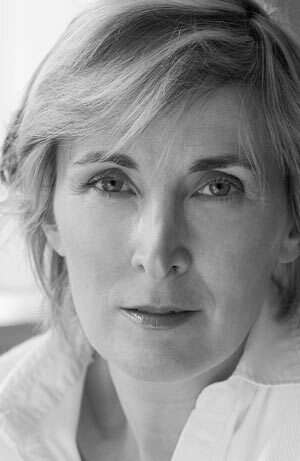 The chapters are organised in chronological order and are interspersed with chapters on specific people at that time – like Margaret Douglas and Margaret Beaufort. Genre/Audience: The audience for this book seems to be the academics who want a history of the Tudor dynasty, particularly the people involved. I wouldn’t recommend it for people who have no knowledge of the dynasty, as you do need some background knowledge in order to understand some of the more subtle nuances. Concepts: Some new thoughts on the importance of some of the more minor Tudor figures. However I do wish there had been more on Arbella Stuart, as that was lacking. Nevertheless, there are some interesting thoughts on Elizabeth I, in particular, and her role in government compared to William Cecil, and on the relationship with Mary Queen of Scots. Sources: A great range of sources is used in this book – from Foxe’s ‘Book of Martyrs’ to the works of Eric Ives and David Loades, among other eminent historians. Lisle has clearly done her research, and made a lot of clever deductions about the surviving evidence. Others works included essays by harington from 1602 and the letters of both Elizabeth I and Mary Queen of Scots. Illustrations: The illustrations are the traditional ones found in books like this – portraits, mainly, of the main Tudor protagonists, and some lesser-known ones. It also includes some images from illuminated Books of Hours and a copy of the famous Whitehall mural, as well as stained glass and romanticised images, as well as early modern artefacts. 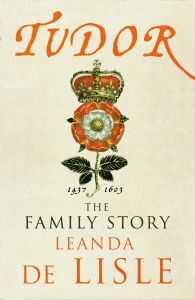 Other works: Leanda de Lisle has also written a book entitled ‘The Sisters Who Would Be Queen: the Tragedy of Mary, Katherine and Lady Jane Grey’ as well as ‘After Elizabeth: How James King of Scots Won the Crown of England in 1603’. Similar books on the Tudors as a dynasty include David Loades’ ‘The Tudors: History of Dynasty’, ‘The House of Tudor’ by Alison Plowden and ‘Tudors’ by Peter Ackroyd.